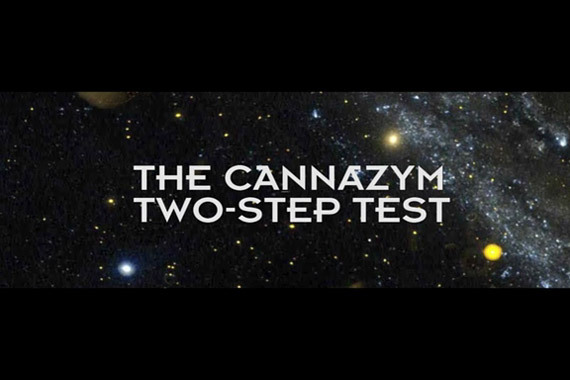 CANNAZYM is a high-quality enzyme product that helps with breaking down dead root material and encourages beneficial micro-organisms. CANNAZYM also helps plants take up nutrients. Enzymes are substances that promote reactions in living organisms. For example, enzymes play a vital role in our digestion. They turn dead roots into minerals and sugars. This is important, because these minerals and sugars make up a valuable source of nutrients for the plant and micro-life. It improve the uptake of nutrients and the plant's defense system. Also, vitamins encourage the production of hormones. They help form new roots. The easy-to-absorb vitamins in CANNAZYM also encourage the plant to form new roots. This increases the health of the plant. Avoid breathing mist/ vapors/ spray. In case of inadequate ventilation, wear respiratory protection. First Aid: IF INHALED: If breathing is difficult, remove victim to fresh air and keep at rest in a position comfortable for breathing. If experiencing respiratory symptoms call the POISON CONTROL CENTER at 1-800-222-1222 or doctor/ physician. Dispose of contents/ container in accordance with local guidelines. Other Hazards: Avoid inhalation of mists. In case of respiratory symptoms: consult the POISON CONTROL CENTER at 1-800-222-1222 or doctor. Contains a total of approx. 0.2% of material that is classified as respiratory allergenic. People who are oversensitive to this product, which is manifested through asthmatic symptoms, should avoid all contact with the product.